Our process is disciplined and repeatable, but is not inhibiting. It always leaves room for spirited debate, healthy skepticism, and brutal honesty. The decision to add a stock to our portfolio is not taken lightly. . . nor is the decision to sell. The Oak Ridge Way places a high priority on the consistency of results and steady improvement over time. That is true whether it is in terms of earnings, relative valuation, intangibles, or fundamentals. We are not in the business of predicting the stock market. Instead, we employ quantitative and qualitative idea generation. Though we trust in our instincts and our expertise to be able to anticipate when a company might go on to realize its full potential as we see it, we back that up with intense analysis. When it comes down to it, strength and vision are the concepts we share with the companies we believe in. The investments we make are in those securities that were able to survive a rigorous three-pronged peer review process that brings together our analysts and portfolio managers. We are slow to buy, and we commit to holdings for the long haul. This results in lower portfolio turnover. But, we are not inactive. 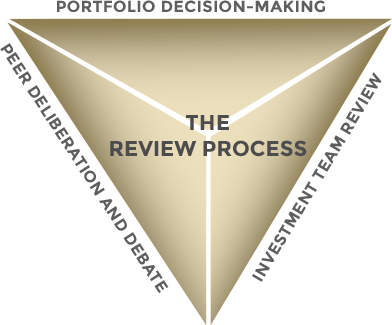 Our holdings are subject to ongoing review—a process that incorporates the same rigor as our selection process. 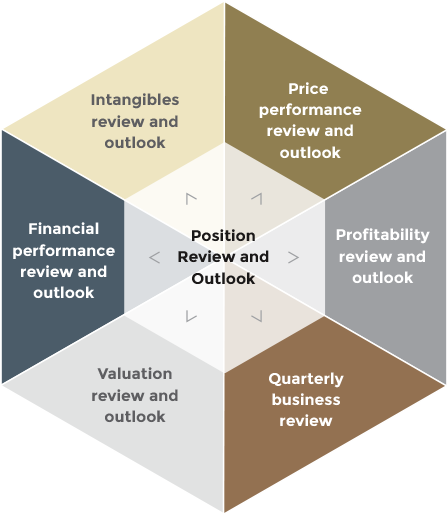 When a company’s fundamentals show signs of deterioration, its industry position erodes, or portfolio risk management concerns arise, we sell the position. Ultimately, we strive to retain an unwavering focus on delivering long-term growth for our investors regardless of short-term market conditions—with less risk—and by generating alpha over full market cycles.